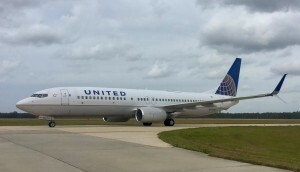 United Airlines announced today that it will offer daily nonstop service between Jacksonville International Airport (JAX) and Denver International Airport (DEN), beginning April 9, 2018. DEN – JAX Departs 9:45 a.m. Arrives 3:19 p.m.
JAX – DEN Departs 3:55 p.m. Arrives 6:13 p.m. Passengers can now book this flight at united.com.